Are you one of those people that enjoy bath bombs? If so, then this book is ideal for you! This step-by-step guide is simple to follow, and contains over 100 body-friendly recipes for you to create in the comfort of your own home. You can try the basics to begin with, and then move on to the more challenging ones as you pick up the techniques. There are also recipes for body scrubs, lip scrubs and face masks. Perfect for your next night in filled with pampering! 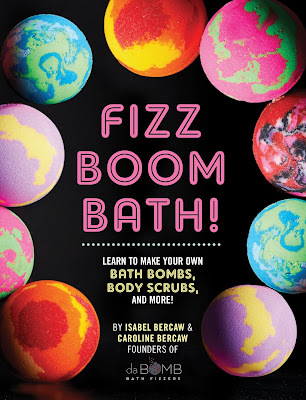 Fizz Bath Boom! is available now through Allen & Unwin.